Something you may want to check out: http://www.eon.com.hk/estroke/ I’ve never used it, but have had multiple friends mention the app. 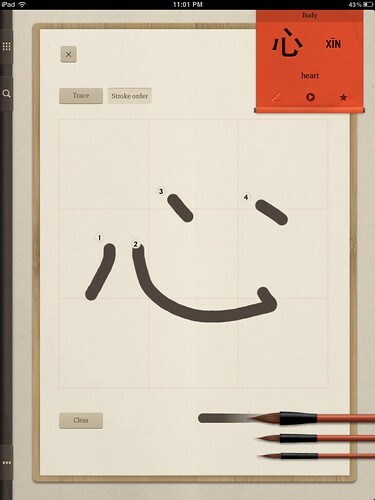 At first glance, it doesn’t appear to allow you to trace/practice characters via touch-screen. 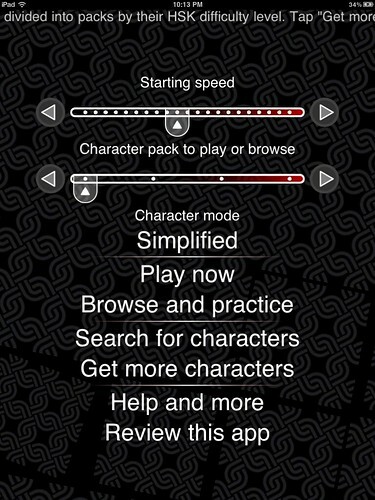 But, it does pack a lot of other features that should help w/learning characters and their stroke order. 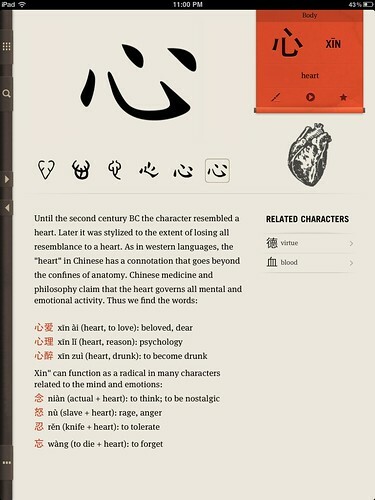 Regarding the “Chinese Writer for iPad” app: I downloaded this (for the iPhone, not iPod) a few months ago. At first it did let me do the practice as well as the tutorial mode for free. 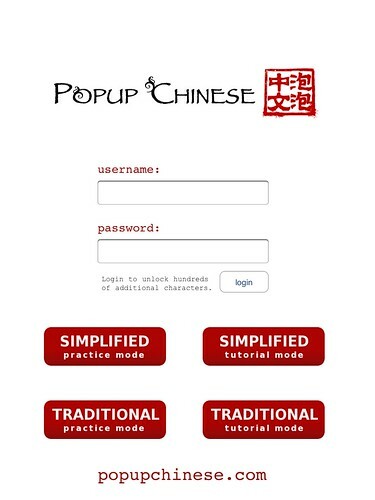 Only lately did it stop working & prompt me for a popup Chinese account. (I haven’t tried getting one; now that I know it’s free I might.) I thought perhaps that I had used up a testing period, or something like that, but maybe they altered the program in an update if it didn’t let you do it from day one. Still, that seems new. Kind of a pity, I liked practicing on it. Incidentally, it looks like “trainchinese” has a bunch of other apps too — a pinyin trainer, a number trainer, a few others. Anyone try any of those? 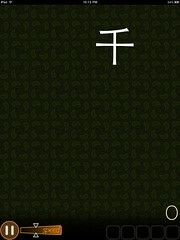 但是PLECO是一个freaking awesome application! I love it! I don’t buy the idea that writing should be taught separately from the rest of the language. 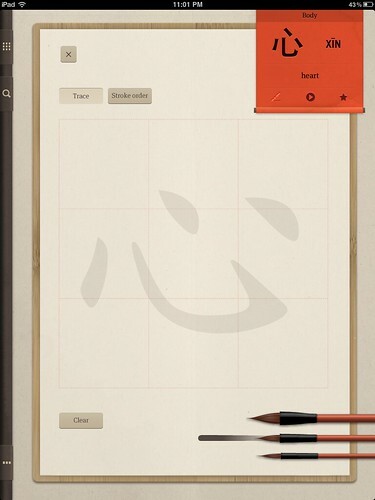 Why would I want an app that teaches me how to write characters I don’t know how to use? I can see a Skritter-like app being useful on the iPad, but I think of Skritter as an all-around vocabulary retention solution, not just a learn-to-write solution. None of these apps seem very useful to me. I think pen and paper works great for learning to write characters, and unless you’re doing calligraphy, it shouldn’t be an incredibly laborious process. You learn basic strokes and stroke order rules, in a week or less, then whenever you learn a new character you memorize its components. 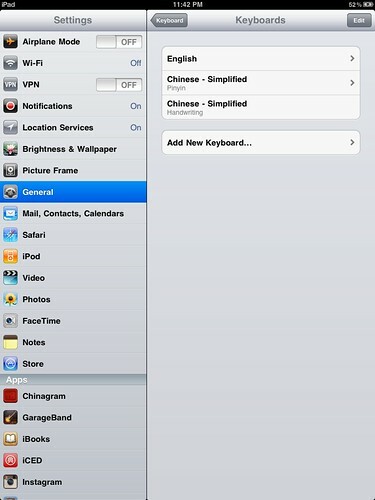 I’m not sure there’s really a need for an app that covers your functions 1-5; it’s still too single-featured. I agree that it’s totally possible! The real challenge is one of design: app design (UI/UX), but also educational design (i.e. put goether in a way that actually helps people learn). Seems like these apps have nothing on Skritter – speaking of which, does the iPad support Flash yet? Any thoughts on the best choice among these for kids? I’ve got my own methods (I use Anki and a piece of paper) but I’ve also got two little girls (8 and 6), and would be interested in your assessment of child-friendliness. Chinese lessons with Kids Chinese Podcast are great for kids and adults as well. 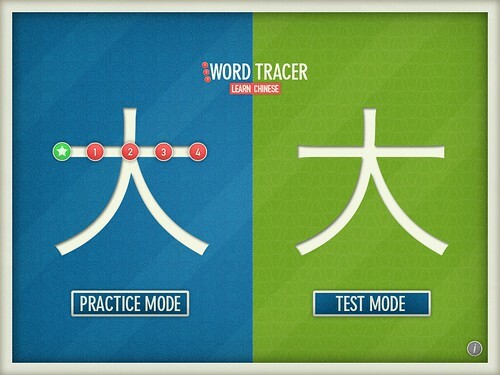 I just bought word tracer, Chinesegram, and all the cards for Chinese writer. Thanks John! We really enjoy reading your blogs. Our children are learning Chinese. 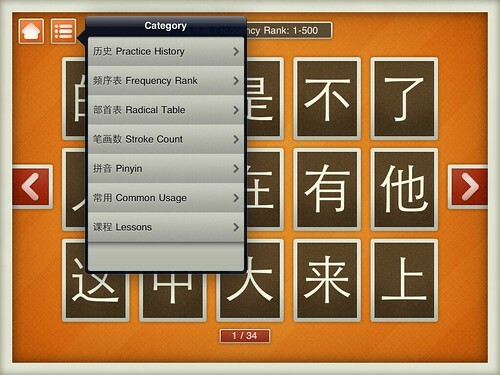 To help them, we developed a multi-media Chinese flashcards program for iPhone and iPad. 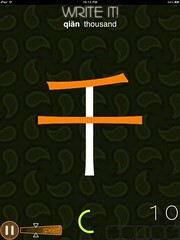 It allows students to write Chinese characters on iPhone and iPad. Here is the link for free download from Apple’s AppStore. 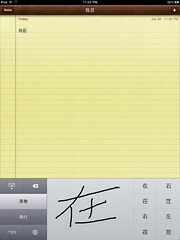 Alternatively, you could search “XingXing Flashcards” in the AppStore. Please share it with your readers if you find it useful. Otherwise, we also like to hear how we could improve this program. I’d love one, for my great grandmother to learn on, please! 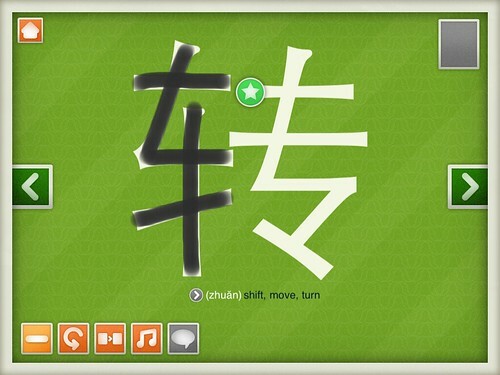 EStroke – great for traditional Chinese character learners. Both systems are worth the money. Hi! I started to develop this app with very much the same thinking you had on 1 to 4 – do check out the app, I hope it helps kids in their learning. Do any of these apps pronounce the word for you? In Mandarin and Cantonese? I agree with all the comments re pen and paper for merely learning how to write each character. But, because the pronunciation of characters is not integral to the strokes, i would add pronunciation to the 5 objectives John laid out above. I would further add the meaning of each character to tool functionality. I have found that simply practicing how to write characters does not ensure that I can recognize their meaning or pronunciation. 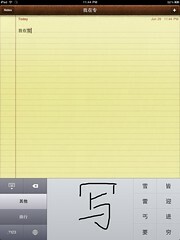 My Chinese friends have told me that they practiced writing pinyin whenever they learned new characters. First, great post. Plenty of info worth thinking about. 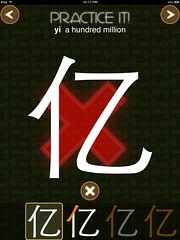 1) A native Chinese person hand wrote the 2500 most common Chinese characters. We retained their actual hand writing in the app. 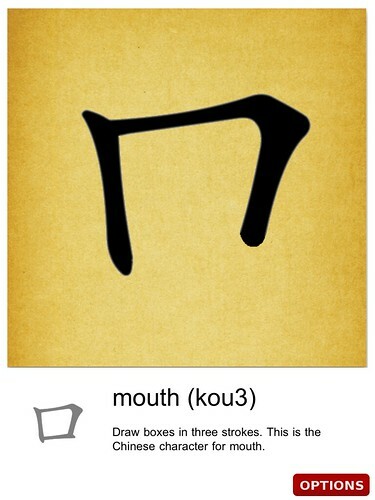 Thus, stroke order animation is available, and writing authenticity was preserved. 2) The student writing area likewise preserves actual handwriting instead of replacing it with a pre-built animation. This allows students to freely write anything they like, so they can be creative in “how” and “what” they write in the area. 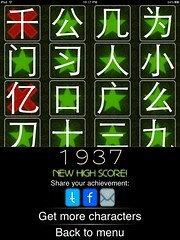 3) Nommoc includes the 2500 most common Chinese characters as set by China. We also wrote an algorithm to find what “words” these “characters” most frequently appear in, and included these results along with a dictionary definition for each character. 4) We hope that Chinese teachers and students will use nommoc to participant in a “group” learning/writing activity, with the goal of stopping “expat illiteracy”, namely being unable to read/write Chinese. The goal is that daily everyone will tweet about which #commonchinesecharacters they wrote, where/when they saw them in use, the radical, or anything else interesting related to the characters.